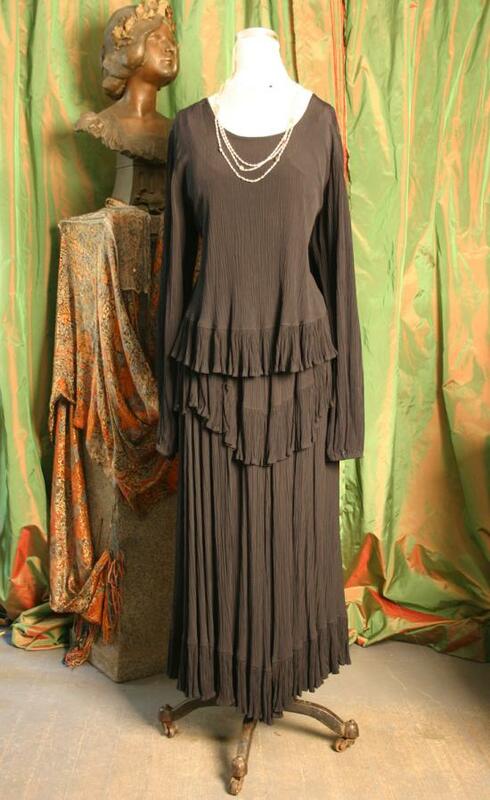 Two Piece Gypsy Dress by Anna Bella — This dress is very, very flattering. It is instant "long and lean" with the line broken only by the movement of the skirt. I'm tempted to keep it, but as Stephen Wright says, "You can't have everything. Where would you put it?" and that is our dilemma. This dress is tagged One Size but would best fit size ten and tall, although the skirt can easily be shortened at the waist.